MosaicEnergy works with multiple Residential Solar Power Systems and companies to find the right solutions for your home solar energy needs. With electricity costs on the rise, government incentives, and the cost of residential solar panels decreasing, right now is the perfect time to add solar power for your home. Solar Energy adds value to your home, helps to decrease your carbon footprint, and gives you short and long term savings on your electricity bill. 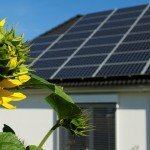 If you choose not to purchase your solar system with your own money, solar loan financing has become a popular way for homeowners to pay for their solar system. Like a solar lease or PPA, a solar loan allows the customer to spread out the cost of the system, and pay it off over time. Solar loans are structured like regular loans are many lending institutions have begun to offer them. Solar manufacturers, credit unions, banks, housing investment funds, and others are all offering solar financing. However, unlike a lease or PPA, the customer retains ownership of the system and is also eligible for federal and state solar tax incentives and rebates. One main difference between a lease or PP a when financing/owning a solar is system is that the property owner is responsible for upkeep and maintenance of the solar system. A Residential Solar Power Purchase Agreement (PPA) is an agreement between the homeowner and the solar provider. The solar company installs, owns, and operates the solar system on the customer’s property and provides all of the electricity at a fixed per kilowatt rate, which is usually competitive with what the local utility rate is. This enables homeowner to utilize solar energy at a set cost, but avoids the upfront costs of a residential solar system and is not responsible for maintaining and operating the system. The homeowner is aware of the how much they will be paying for solar electricity for the entire length of the PPA, and will not be subject to increases from the utility electricity rates. In the same regard as solar leases, with a PPA, the customer does not own the system, and is not eligible for federal and state solar tax incentives and rebates.